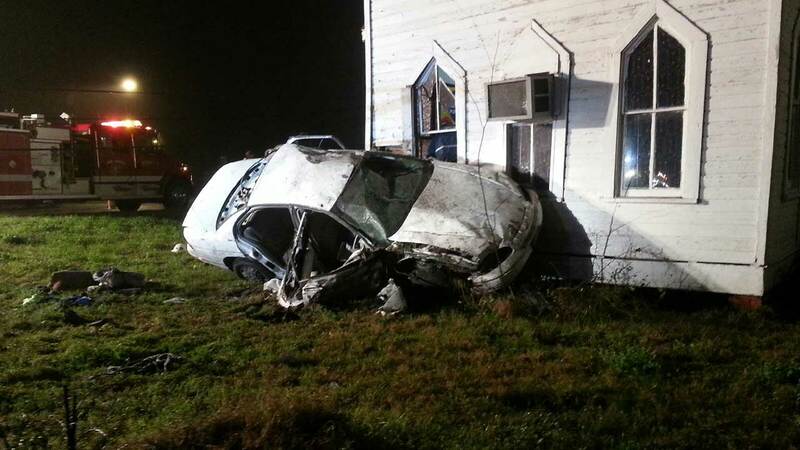 TRINITY, Texas -- A Texas woman is lucky to be alive after her rolling vehicle threw her through a church window into a pew early Tuesday morning. The accident happened about 4:30am near Highway 19 and F.M. 1617 in Trinity in east Texas.